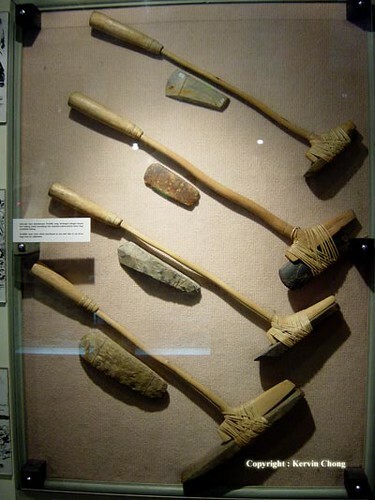 Stone age tools used by our distant ancestors, a progression of utilizing tools of ever more complex nature soon allowed our forebearers to shape the world around them and dominate as the alpha species. Museum of Natural History, Kuala Lumpur, 2004. From the description these were axe blades of various heads from iron to stone used in prehistoric times.